I always see it, and really only used it once a long time ago. Of course time has made me forget how to send results to that window. Surely someone here knows the answer. 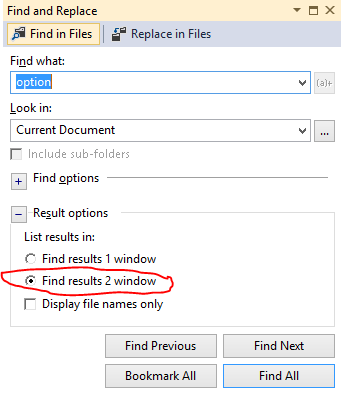 Go to search options -> Find In Files... (By click the little down arrow icon next to search box) and then select Find results 2 window from Result options.